Home › Advice › When is the best time to buy a car? Getting a good deal on a car can really mitigate the effects of depreciation when you come to sell it again. But when is the best time to buy, and how can you get the deals? If you are desperate to purchase, you’re under time pressure and you really need the vehicle immediately, you are in a weaker negotiating position than if you have time to shop around. If you have to borrow against the vehicle you will end up paying quite a high interest rate (unless you can provide some other form of security, such as your house). 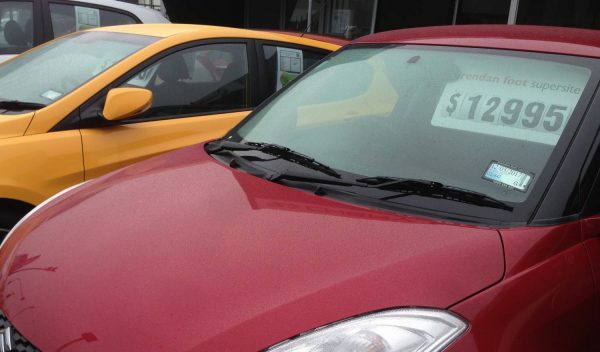 Dealers of brand new cars have sales targets each month. If you purchase towards the end of the month they will often discount their price to meet their sales target. 100,000km is a psychological barrier; people try to sell their car before it reaches this level. However, in the UK or America, 100,000 miles (160,000km) is considered the same barrier. There’s very little difference between a car that’s done 98,000km and 105,000km but there might be a significant difference in price. Check before you purchase that the vehicle is not due for a cambelt change as this can be a major cost, especially for a cheaper car where it is a high proportion of the overall purchase price. 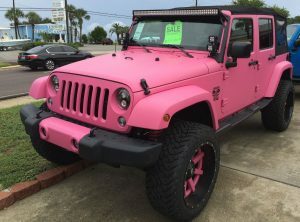 Occasionally, people will fall in love with a car that’s got very little resale value or prospects and they struggle to sell it – perhaps a pink Jeep like the one pictured. If they’ve had to wear a huge amount of depreciation through questionable taste, you could pick up an absolute mint car for very little money. Of course, you also have to live with your choice! 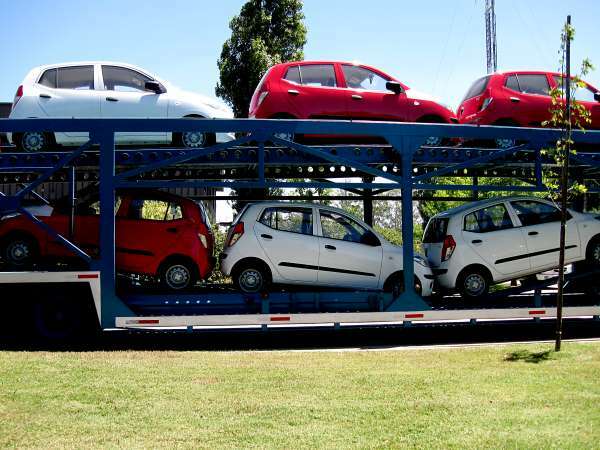 Large volumes of vehicles come on the market at certain times of the year. For example, at the end of summer, backpackers that have travelled around the country and have purchased a car just for their travels want to sell it again. These tend to be cheap, and the glut of them makes it cheaper. Sellers who are emigrating also need to get rid of their car at all costs. There’s a new version of a particular model being launched and they want to clear older versions of the model. A dealer will want to go home at the end of the day, but if you are there ready to buy they won’t be able to. They might feel they could make some concessions in order to get out the door rather than risk staying late and then you not buying it. ‹ Why don’t new cars and trucks have zero kilometres on the odometer? Why don’t new cars and trucks have zero kilometres on the odometer?